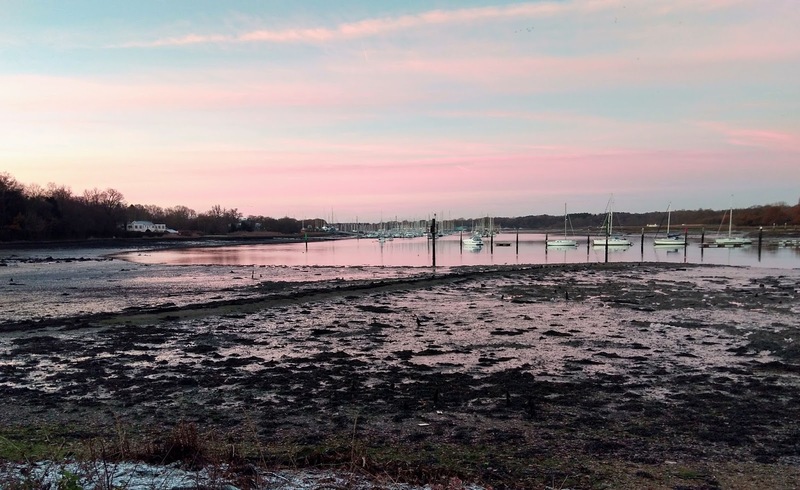 2018 as the sun rises on a new dawn, of a new day, of a new year what are you going to do with the forthcoming year ahead? 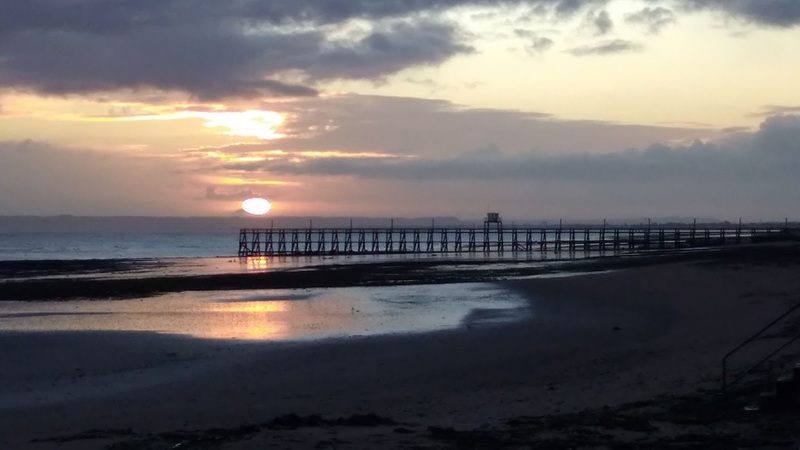 Not that I actually made any, but I'd be determined to break any new year resolutions by the end of the day and get on with enjoying life, time with family and friends, the sun setting over the western horizon and both the challenges and joy of this fantastic world we live in - have a great 2018. 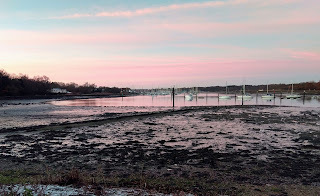 I probably over egged the hue enhancement in the photo editor,but it really did look something like this. 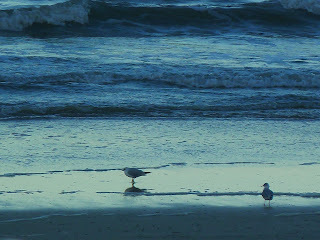 I guess it makes a nice change from sand castles. 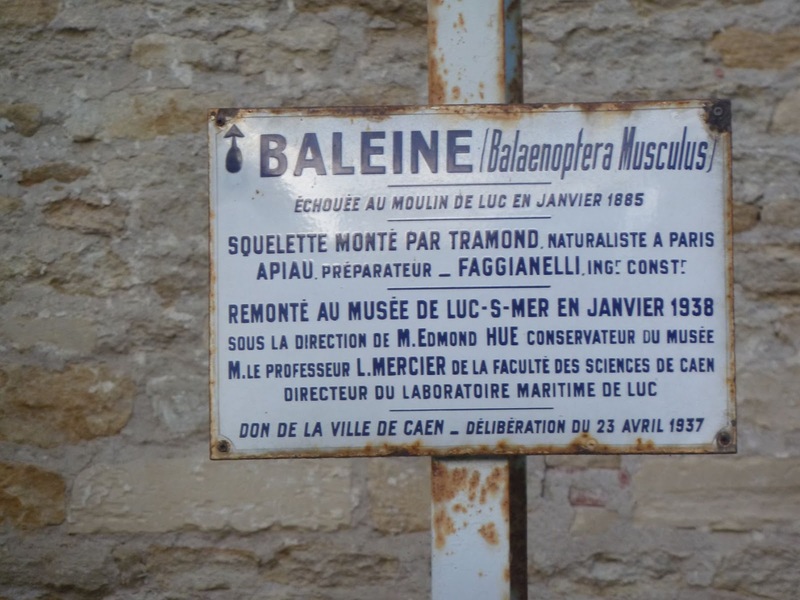 Not quite sure what it was, sort of a winter palace with trees and gardens maybe, I was in a rush and didn't have time to read the signs. 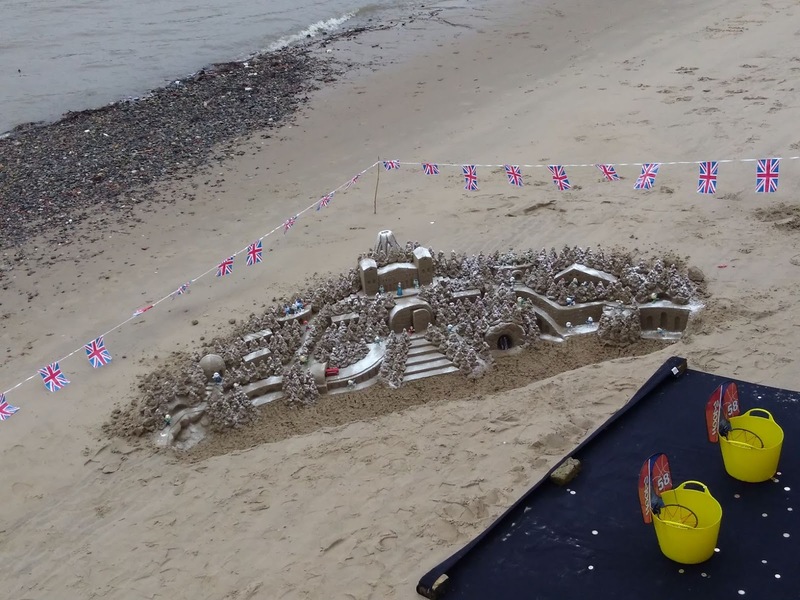 Very impressive and very seasonal - getting out on the beach making sand sculptures is perhaps not the first thing I'd think about on a cold December morning. Barry the Seadog in question has recently been in Bonaire and Curacao to the north of Venezuela if you are catching up on recent programs. 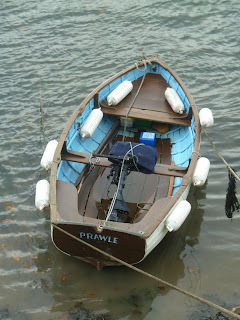 If I don't write anything in the next couple of days have a great Christmas where ever you are. 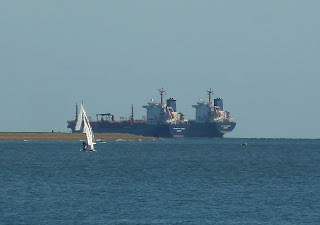 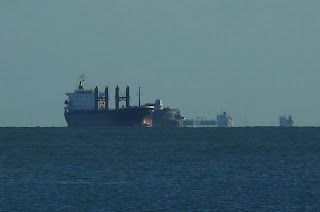 On a clear and blustery Sunday morning there was quite a lot of shipping anchored off the eastern end of the Isle of Wight. We don't seem to get down that end of the Solent so often which is a shame, must try harder. 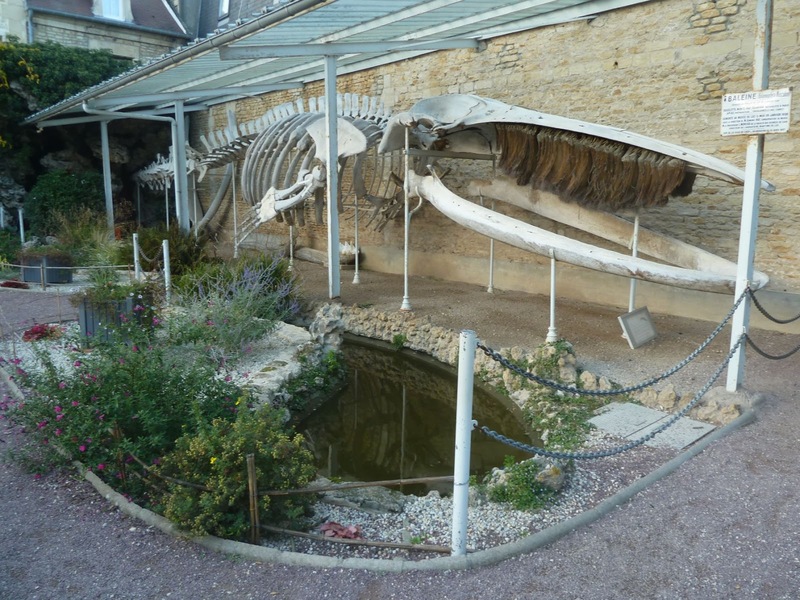 A gate beside the Marie (town hall) in Luc Sur Mer, leads to a little park and a whale museum with the preserved and complete skeleton of a blue whale. 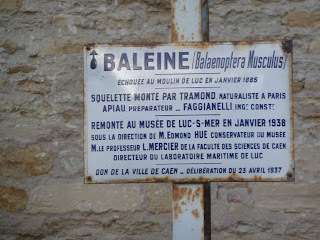 From what I can make out the whale washed up on the beach at Luc in January 1885 and was moved to it's current place in 1938. 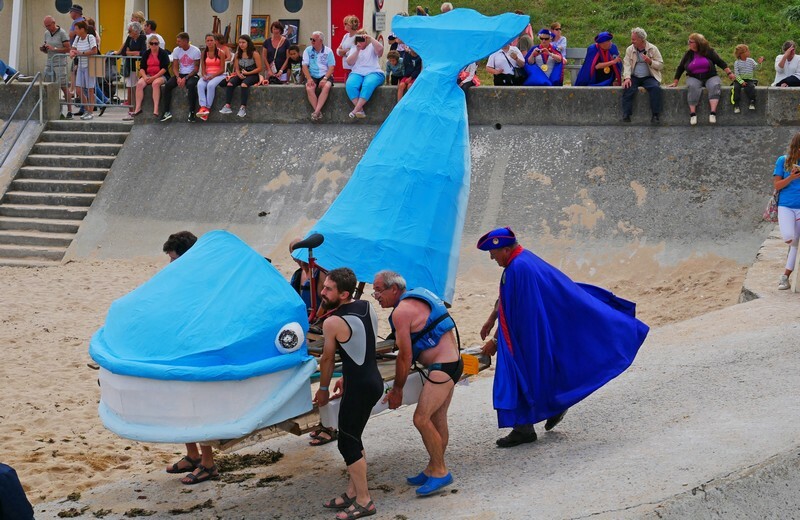 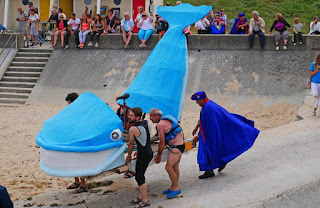 In a great example of French community spirit the town has a celebration Les radeaux de la baleine (The Rafts of the Whale), there's also a local society called the Brotherhood of the Knights of the Whale of Luc - check out the pictures on the town site. 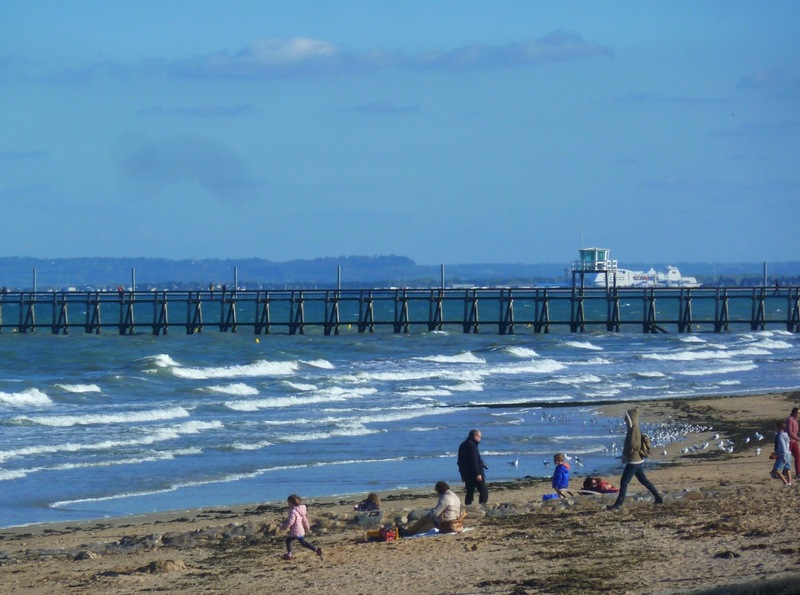 Joseph pointed out that he's never been on a peir . 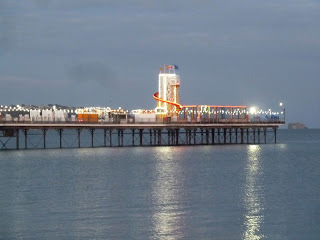 Being an enthusiastic eight year old his comments were more than little influenced by the attractions of the bright lights, arcade machines and the fairground. 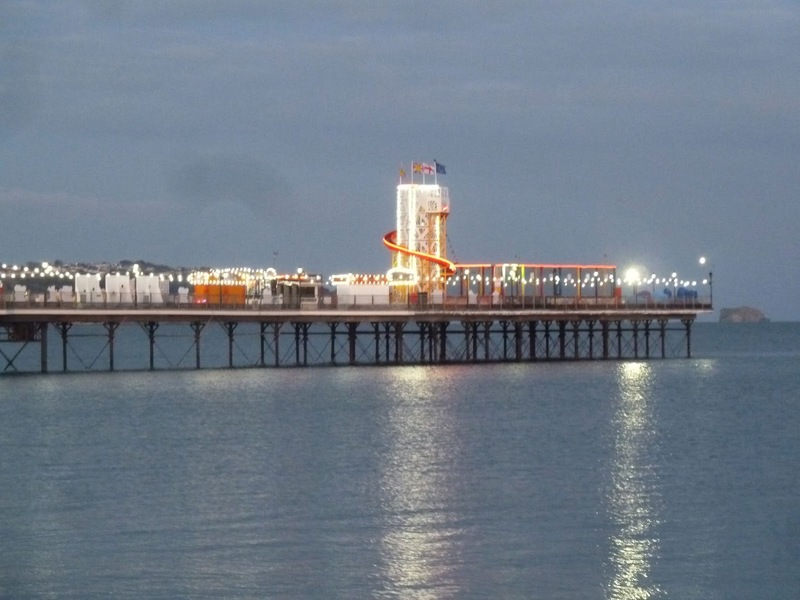 Call me Mr Miserable I just don't like fairgrounds, theme parks and especially arcades, but what can you do. 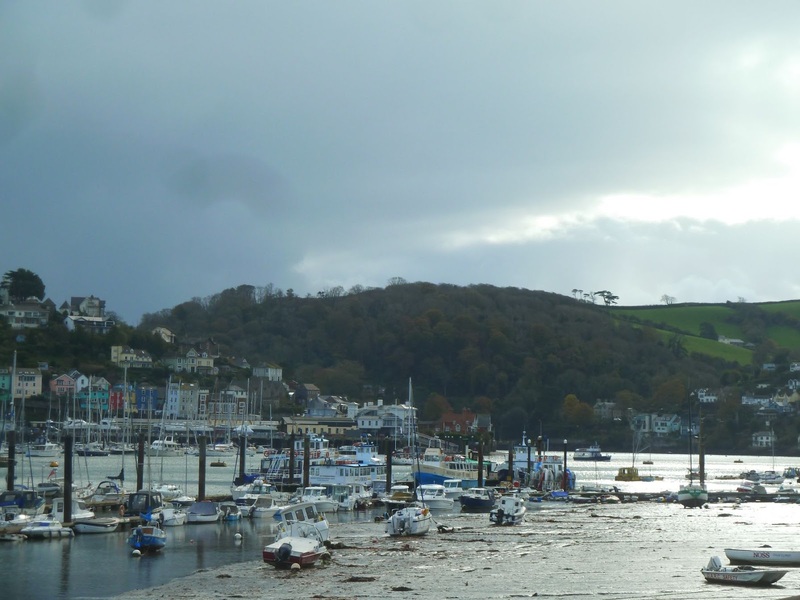 Despite being bombarded with over loud electronic noise, flashing lights Joseph had a good time and I remain convinced that piers are much better from a distance. 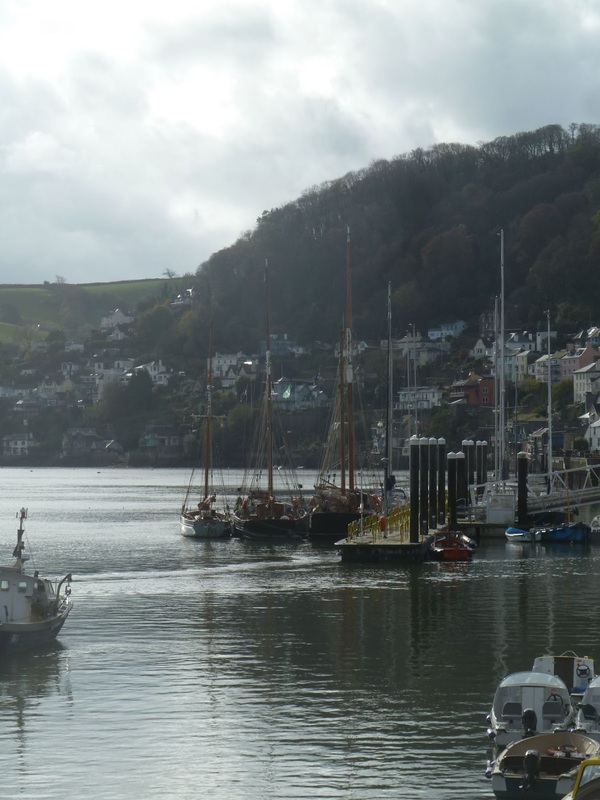 Dartmouth is a busy harbour with mixed leisure and commercial activity, so not surprisingly there are more than a few working boats and dinghies to be seen. 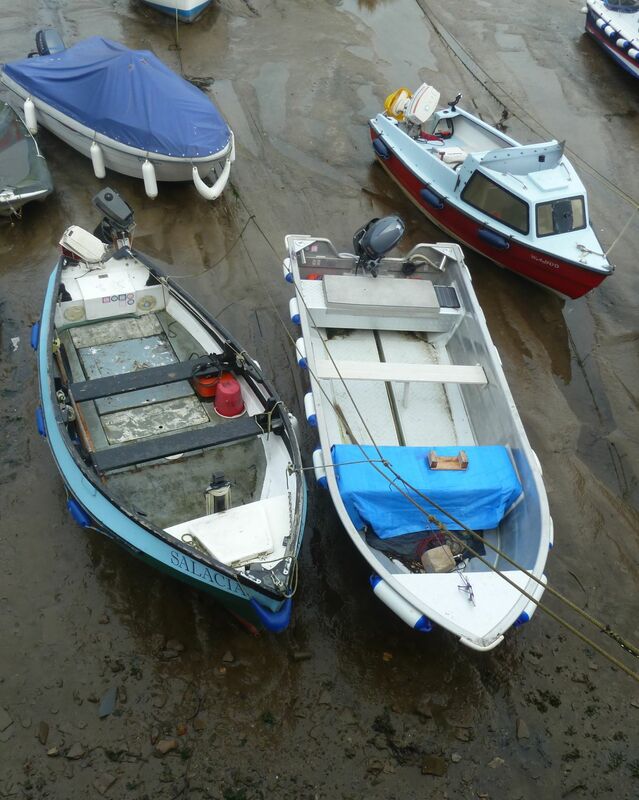 The boat on the left Salacia was seen on a previous visit and by the looks of thinks still actively worked. 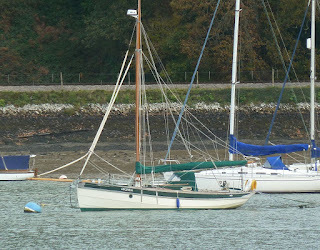 Prawle Point is a headland 15 or so miles south of Dartmouth presumably after which this boat was named. 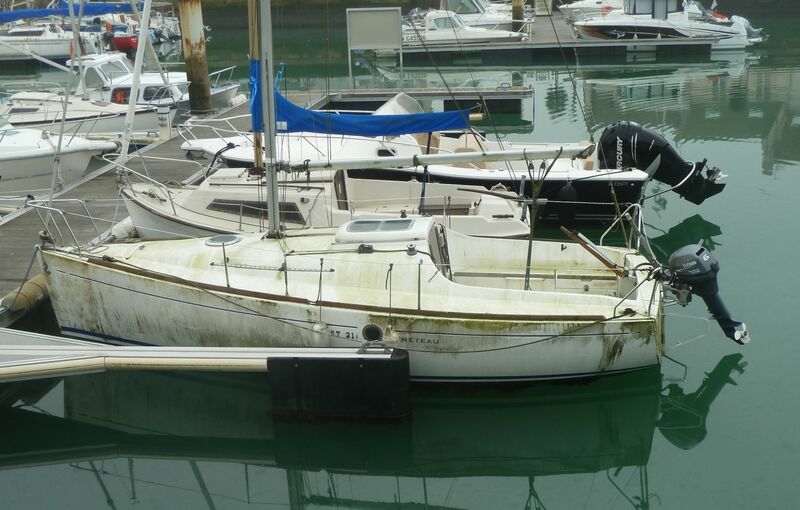 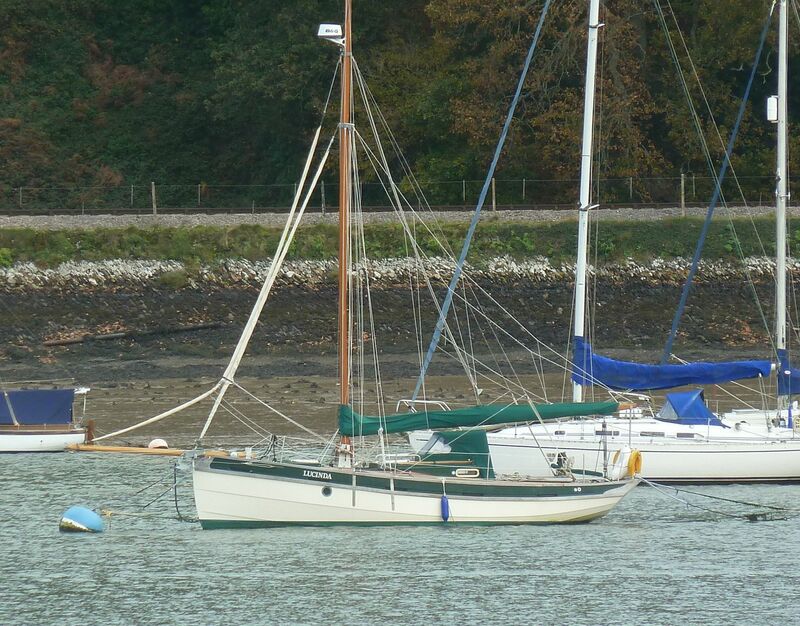 She's very well kept and by the looks used often, making for a nice yacht tender or harbour launch. 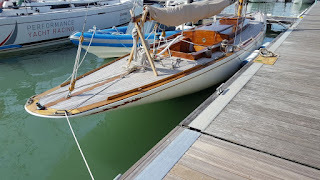 If you're going to row get a boat like this, easily driven, stable and with good free-board, construction seemed to be fibreglass and based on a traditional hull shape. 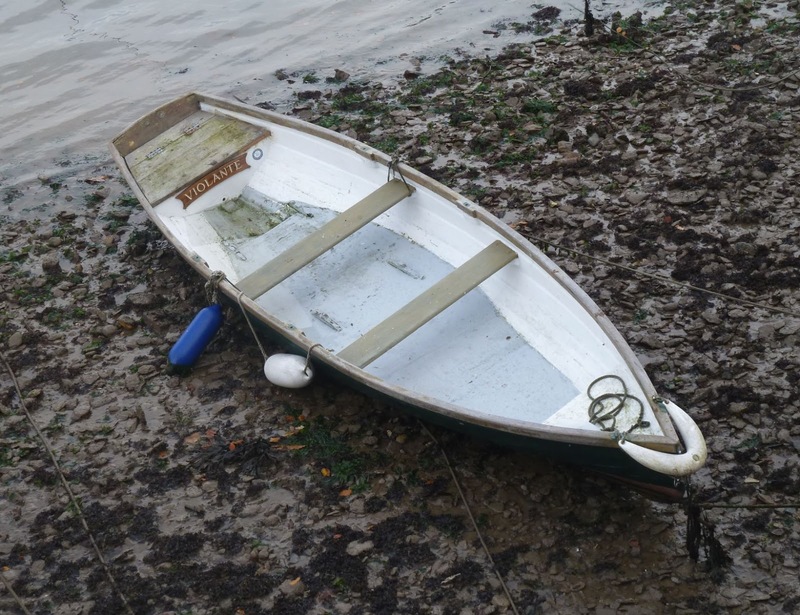 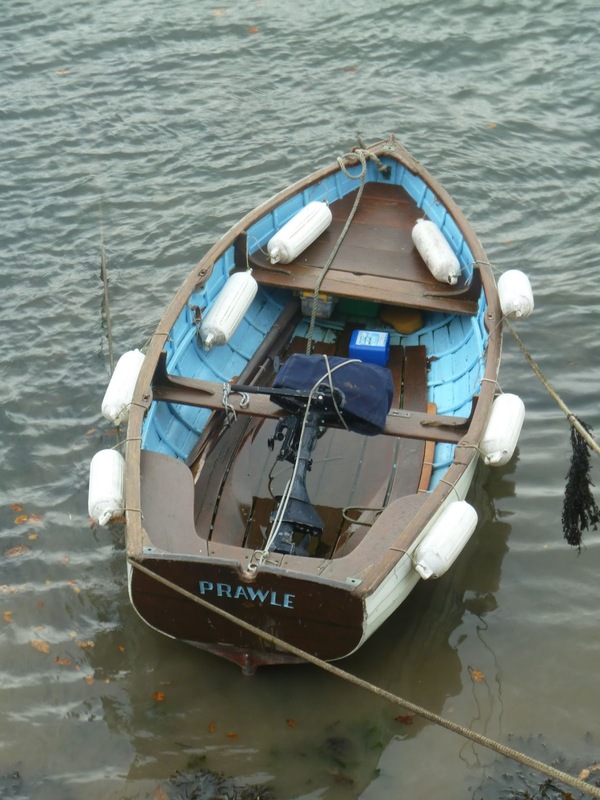 For purely practical purposes you can do worse that a modern plastic dinghy, we had the use of one very similar to this a few years ago in Fowey, it was a bit heavy and slow, but stable and safe and of course easy to maintain. 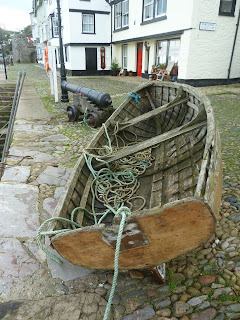 Another traditional boat, at first sight it looked more like a Thames skiff and maybe it is, long and narrow it should be nice to row. 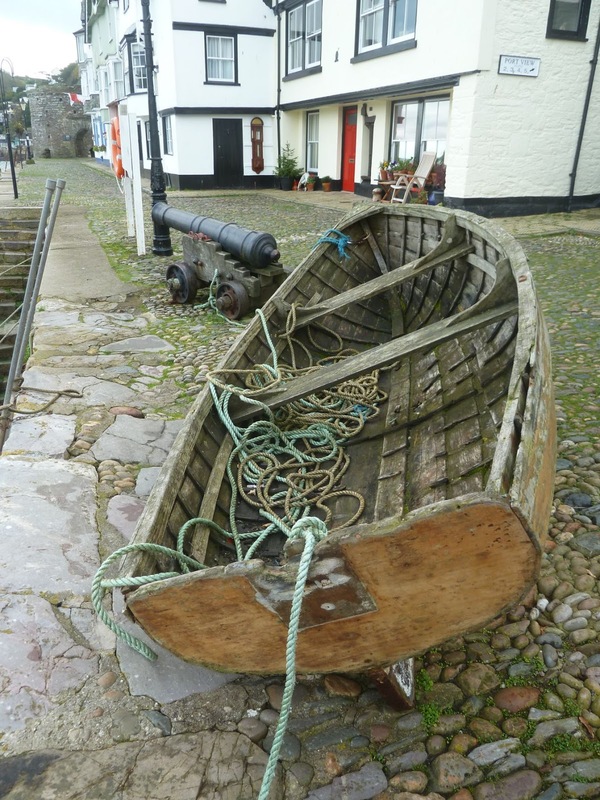 The way it was, this old clinker dinghy is sadly well past its working life, but looks right at home down on the old historic quay. Using a tractor to launch off the beach is a great idea and is quite popular along the Normandy coast, but I have to wonder about corrosion from the seawater and the associated maintenance required. 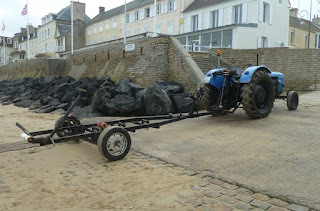 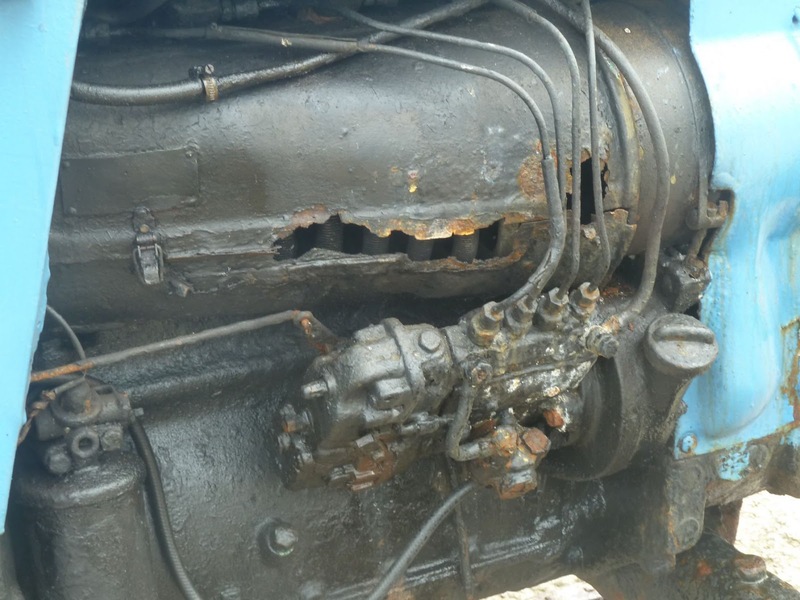 This old tractor was going strong and still in daily use at Arromanches, closer inspection revealed the extent of corrosion - which hopefully looks a lot worse than it is. 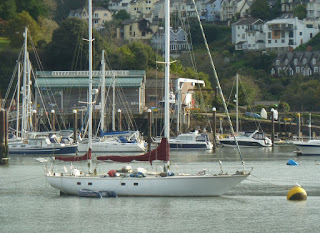 Whenever we visit Dartmouth which is sadly all too rarely, there are always a few interesting boats to see and even at this late time in the year there were a few examples that caught my eye. I know deep down that if I was going cruising then this ketch would be too big to handle and manage, but I really love this type of powerful offshore yacht. 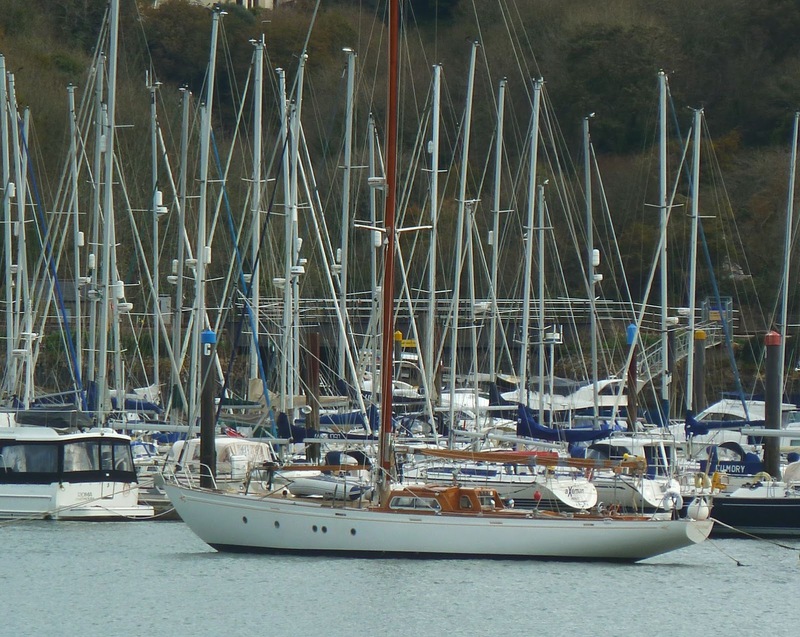 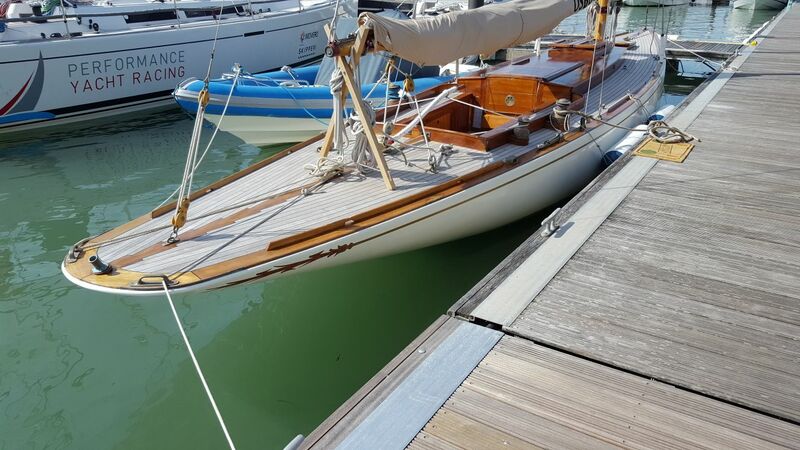 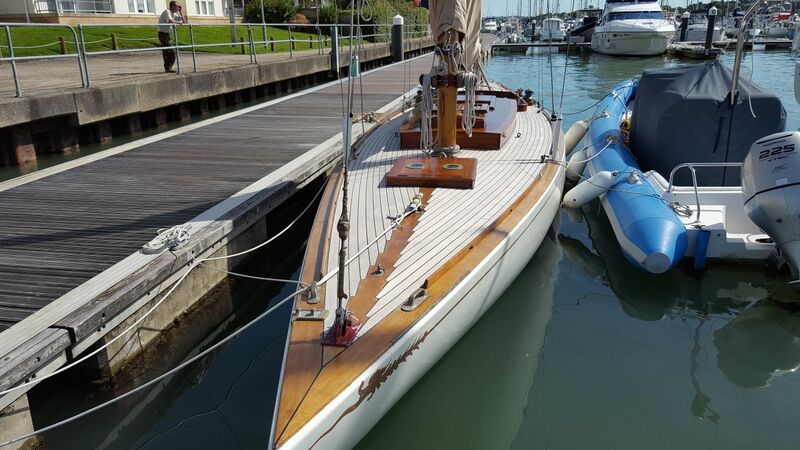 Below may or may not be PAZIENZA, which if it is, was designed by Jack Laurent Giles and built at the Cantiere Navale V Beltrami in Genoa in 1956 - lovely. 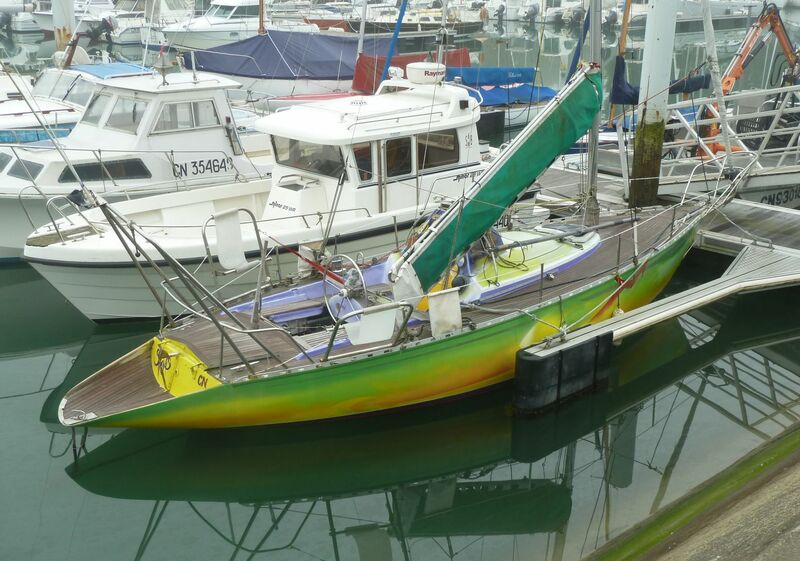 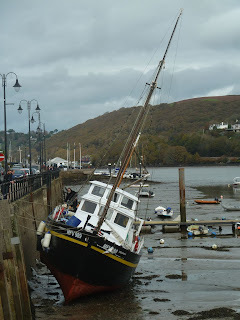 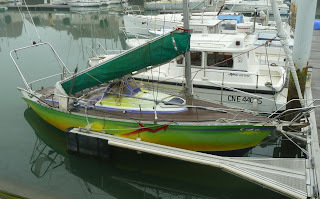 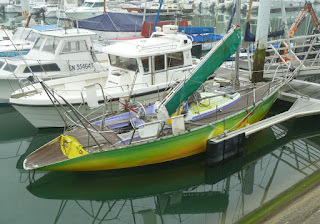 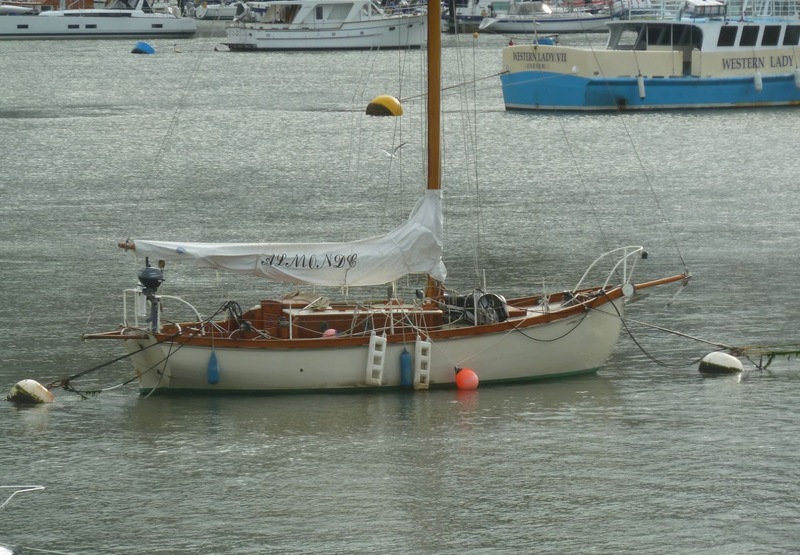 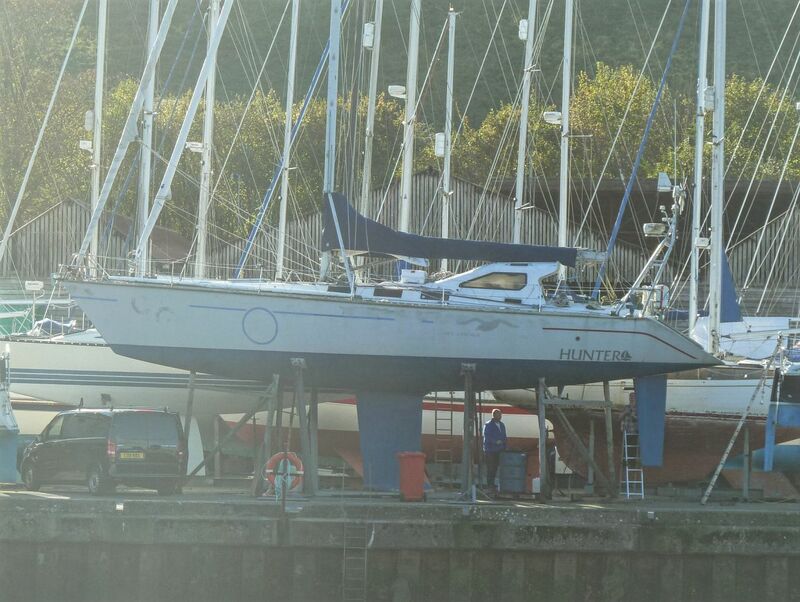 Actually this was seen at Totnes, a deep keel and spade rudder isn't the traditional offshore cruising configuration, but time has proved the seaworthiness, speed and sailing capabilities of this configuration. 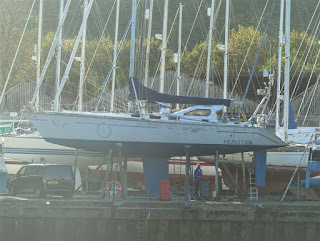 I really like the purposeful look of this Hunter which I'm sure makes a great offshore boat with that hard dodger/doghouse, but I just think I'd like a bit more boat in the water. 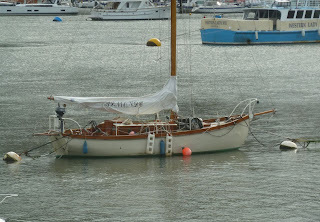 My second favourite of the Cornish Crabber boats (my favourite being the Cornish Cormorant Tosh ) is the pilot cutter below looking every bit the west country boat. 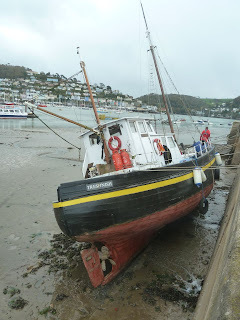 I guess this would have been an ideal Slipway Saturday post, but it was actually a busy Thursday morning. 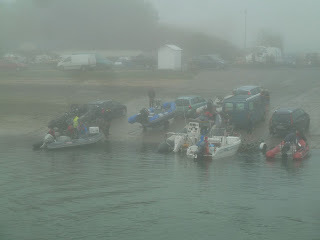 Check out all the boats waiting along the road, I counted 9. It was about mid morning on a very foggy and settled day, so I guess the combination of tide and settled seas brought everyone out for some fishing. 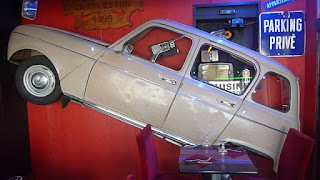 I've owned a few interesting/quirky French cars in my time including two Citroen 2CV's (one of which was a positively glacial 405cc version), a top of the range Renault 16 (don't ask, it was very cheap and frankly a very good car) and a Matra Bagherra, a cute little mid engined sports car with three seats side by side. 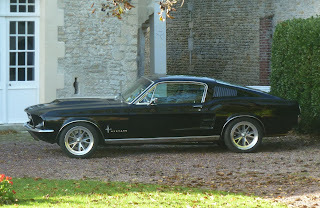 These days it's getting much harder to spot the really stand out cars but we saw a couple of interesting examples on our recent visit. 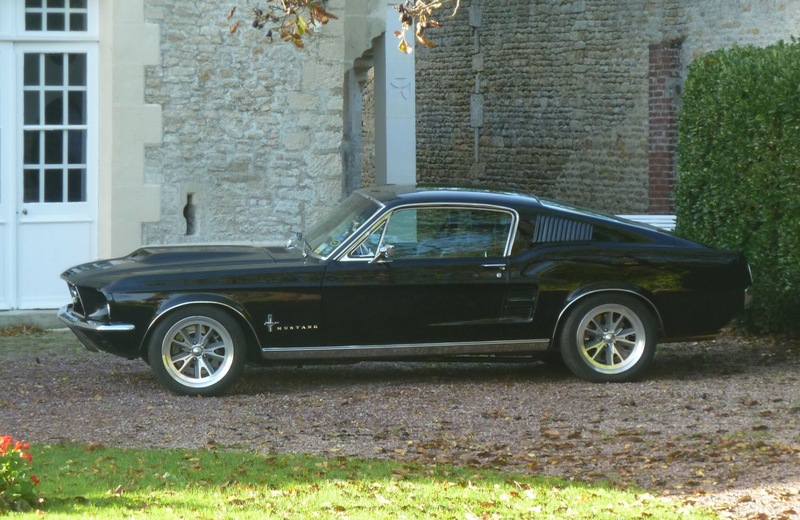 Appreciate this isn't a French car but come on, fastback Mustang, Steve McQueen in Bullitt, and it looks right at home outside this fantastic French country farm house - tres chic. 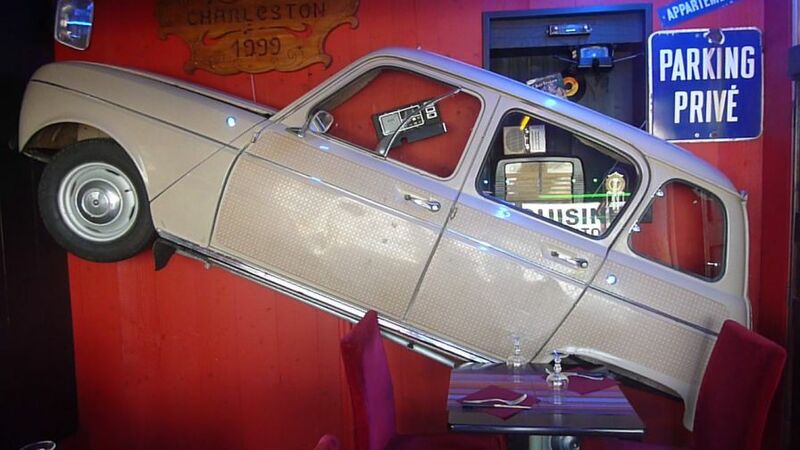 You can't get more French than the Renault 4, clearly an automotive piece of art which is presumably why this cafe owner decided to stick it on the wall - the beer and burgers were very good as well as the decor. I guess this is the difference between drying out and drying alongside. Anyone who has dried out for a scrub will recognise how easily it is to get into this situation, our Endurance cutter Angelina always wanted to lead to starboard no matter how many jerry cans of water or other weights I hung on the port side. 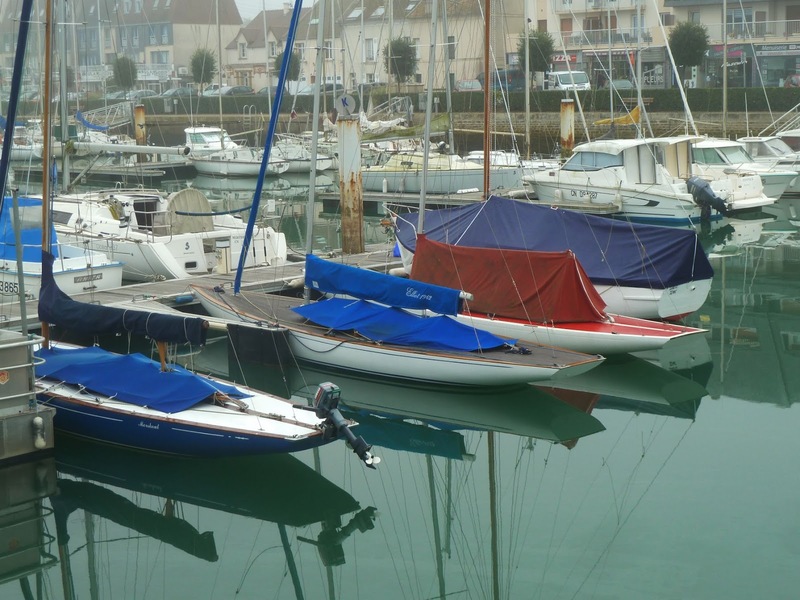 Local keel boats in the Port de Plaisance, Courseulles-sur-Mer. 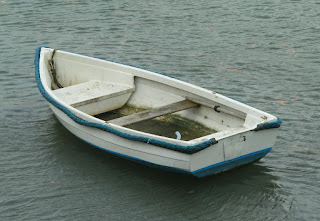 One of the problems with boats is having the time to use them. Things could be worse, these two yachts don't look as if they have seen the right end of a deck brush or mop for some time. 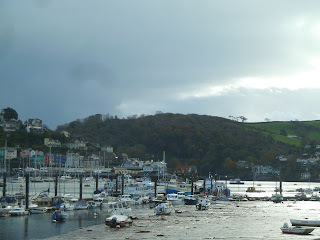 We had a quick and impromptu trip west to take Mrs BB to the Knit Fest in Totnes recently, so after dropping mum off at the event Joseph and I went down to Dartmouth for a look around and some lunch. There were three traditional sailing vessels alongside the town quay, pretty much the perfect setting. 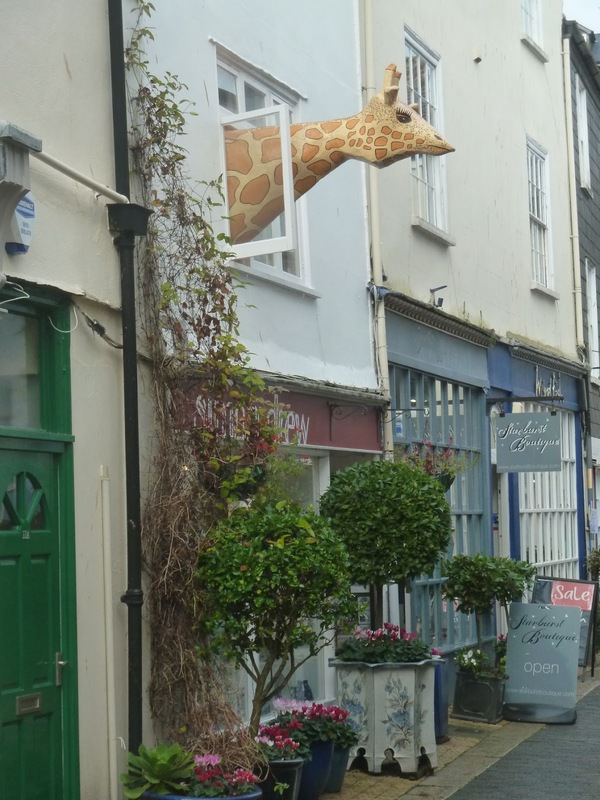 Down in the backstreets this gallery has a giraffe poking it's head out of the window, not sure what the rational behind it is but it made us stop and look so as publicity goes it clearly worked. Cafe culture has really come to Dartmouth with an alfresco establishment just about on every corner. 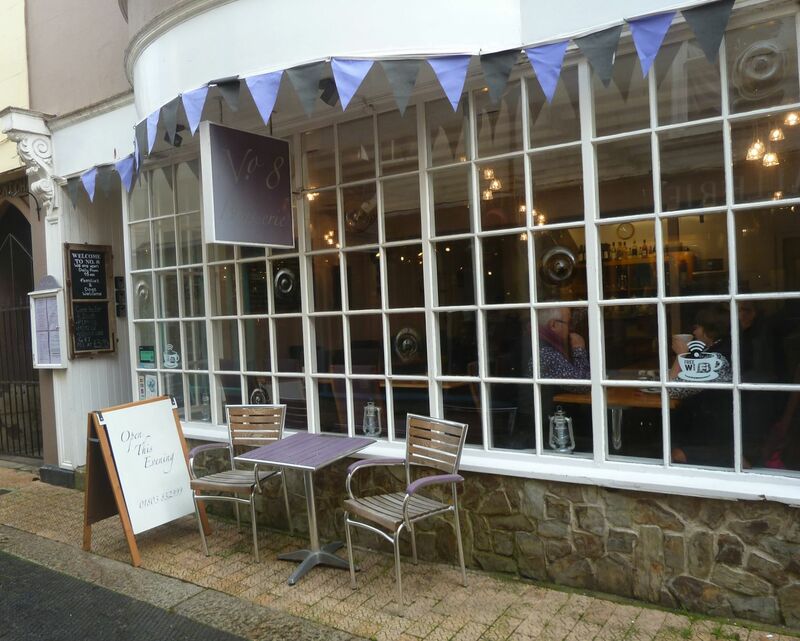 This one is an example of one of the more traditional cafes, where years ago my friend Stuart and I were left while our respective sailing wives went shopping or it might have been to get away from us pair of salty old sea dogs after an especially rough holiday "beat" down to the west country against the prevailing winds. 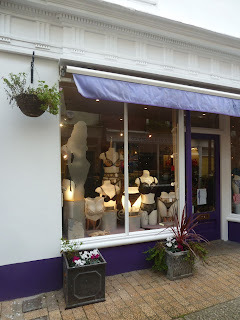 Although tourist retailing has taken over the town it's nice to see this shop keeping up the strong maritime tradition, selling the latest in essential sailing wear. 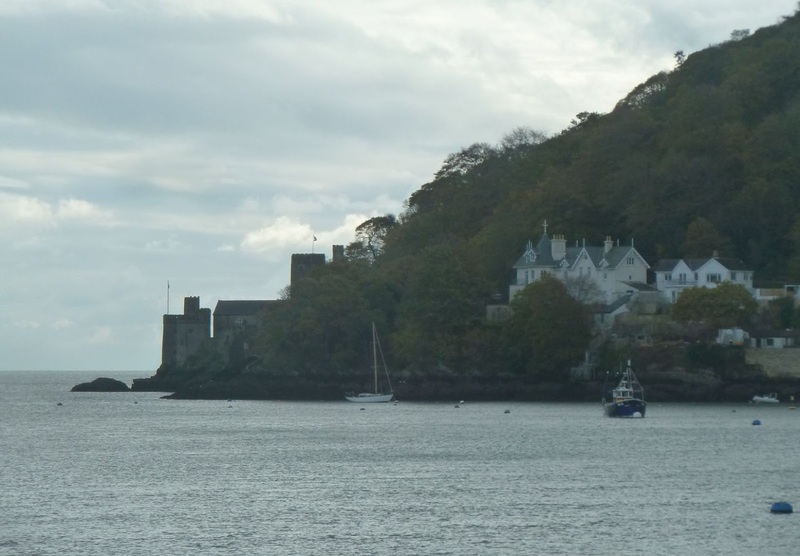 Dartmouth castle a familiar landmark at what is one of the most spectacular harbour entrances. 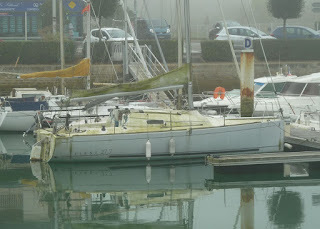 Not sure what to say about this, "only in France" springs to mind. 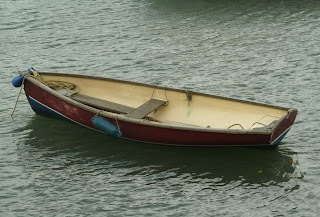 Some interesting features both wheel and tiller steering seem to be permanently set up andget those comfy looking outboard seats. 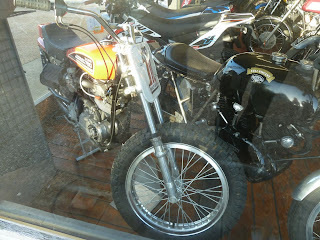 The hard dodger looks very useful and no one is going to mistake the colour scheme. 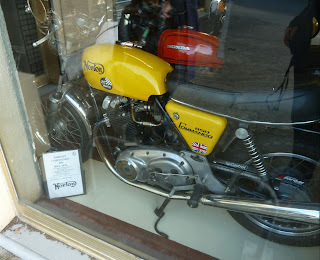 Maybe it's because I'm relaxed and have more time, that I seem to stumble across interesting motorcycles when I'm on holiday and this one was no exception. 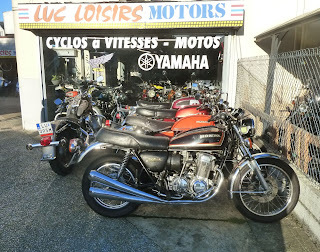 Just down the street between the house we were staying at and the beach was this fantastic motorbike shop. 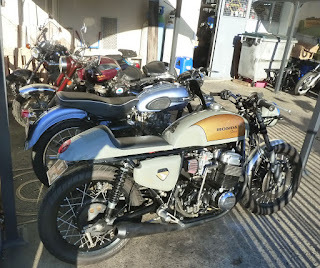 It was full of 1970's classics, Honda 750-4, Honda 500T and at the back what looked like a BSA Rocket 3. 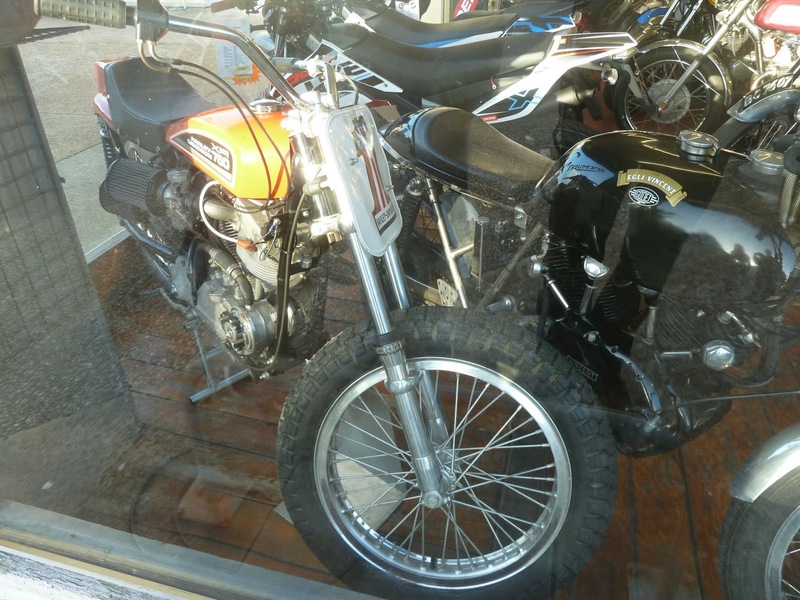 Bad photo's taken through the windows - a Harley flat track 750 and a Vincent Black Something (Shadow perhaps, apologies to purists). A Norton 850 Commando the last of the big British twins and behind another 4 cylinder Honda, the bikes that dealt the final death blow to the British bike industry at the time. Finally a Honda 750-4 custom cafe racer, I snapped this picture especially for my eldest son Duncan who's busy building a similar cafe racer restoration on a 1978 Suzuki 750 - can't wait to see it finished. 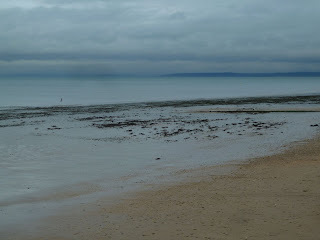 Where we live the beaches nearby are shingle, so while we've been away for a few days over half term, it was a real pleasure to wander down to the real, firm, sandy beaches stretching along the coast and observe the constantly changing scene. 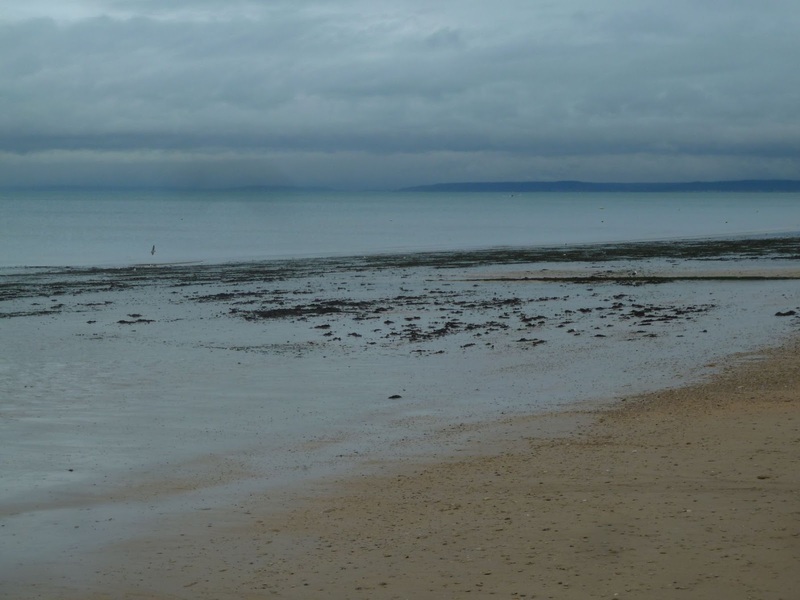 Moody skies left over from a passing storm transformed the following morning into calm seas and low clouds. 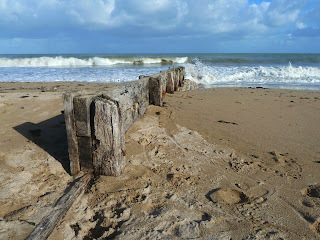 Then a bright and frisky start to the day, some unexpected surf running. 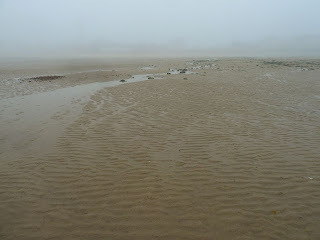 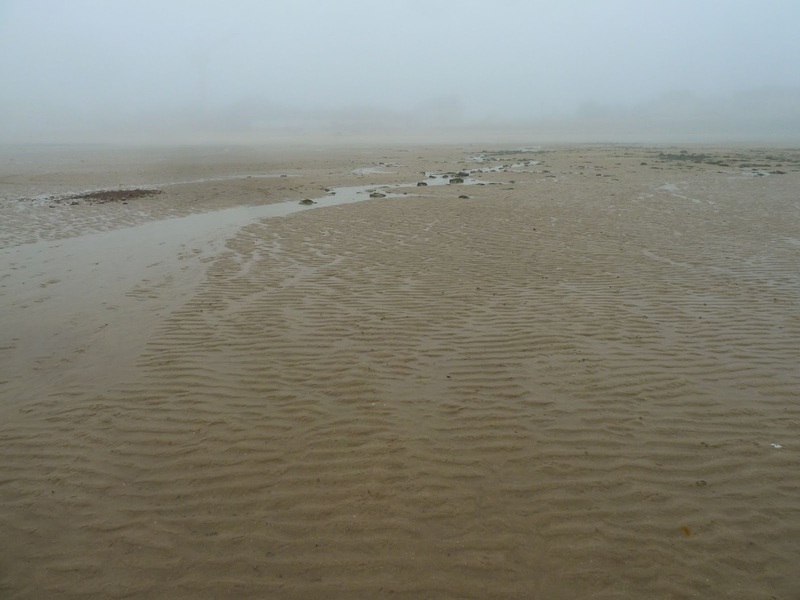 And in complete contrast a sea fog which hung around all day when the tide was out you couldn't see the water from the head of the beach. 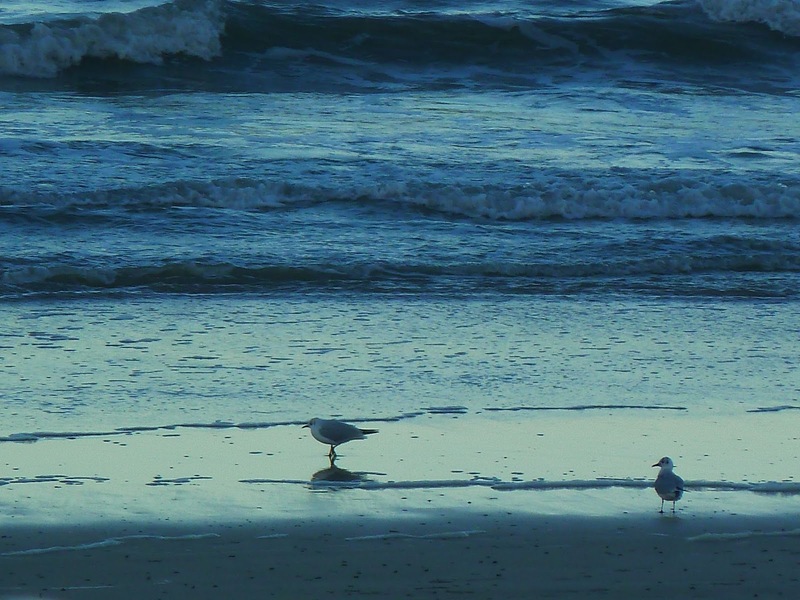 Love the autumn blues and a run along a deserted beach at first light. 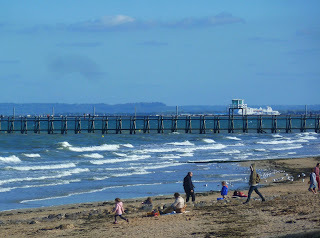 Despite the cold wind, the sun and blue skies soon brought out more than a few holiday makers, children having fun digging and finding shells. 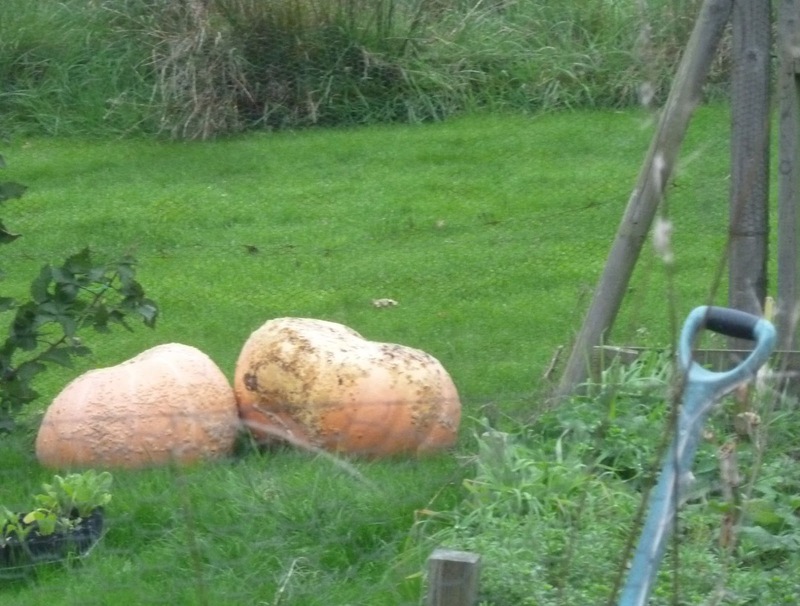 Our neighbour had a bumper year growing pumpkins, lets hope they don't come to life tonight. My regular reader Joe Rouse commented on my recent post Classic Varnish "Varnish is the first thing to come to mind, the second, sandpaper. " so I thought this might be a better title for these pictures of an amazing classic captured by my friend. 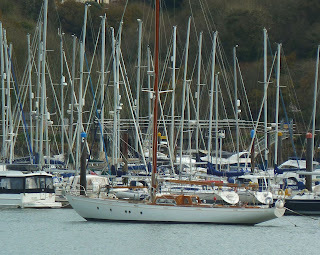 From the cove line I'm guessing it's a William Fife design and I should know what it is but I just can't remember possibly an 8 meter? 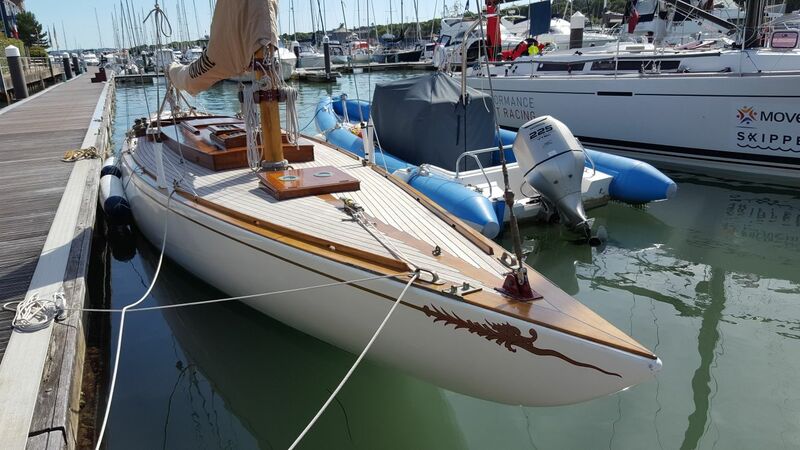 Sure is nice, in Joe's words "God bless the blokes with money."